What kind of protective features do you seek in your men's work shoes? Do you want your toes to be safe it the event of an accidental drop? Do you want to be able to avoid foot exhaustion and strain? How about avoiding harm from electricity? And when it comes to sl ... (see full details) (see specifications) #RB4143. What kind of protective features do you seek in your men's work shoes? Do you want your toes to be safe it the event of an accidental drop? Do you want to be able to avoid foot exhaustion and strain? How about avoiding harm from electricity? And when it comes to slipping and falling on surfaces covered with oil or water, you don't want that to happen, do you? These Reebok Sublite Cushion Internal Met Guard RB4143 Men's Black Athletic Work Shoes are designed to bring you safety from all the above and more in an athletic style you can trust. These men's slip-resistant met guard shoes can keep your feet comforted so that they don't fall to exhaustion or foot strain. They're made with Sublite cushion, which supports your feet as they work so they don't feel the repetitive force of striking the ground. That way, you can work longer, faster, and more efficiently with reduced soreness. In addition, these men's EH Reebok shoes can protect your feet from the force of drop impact and compression. They're constructed with alloy safety toe caps and internal metatarsal guards that meet the requirements for the safety standard ASTM F2413-11 I/75 C/75 EH. The alloy toes keep your toes safe, while the metatarsal guard protects the delicate bones in the tops of your feet. The standard ASTM is also achieved due to the outsoles on these men's alloy safety toe shoes. The outsoles are electrical hazard protective, meaning if you come into contact with open circuits, you'll be protected up to a certain voltage. The outsoles on these men's athletic Sublite shoes are responsible for achieving another rating - a rating in slip resistance. The outsoles have the mark II low contaminant SR rating oily/wet .52, which means they can prevent you from falling on slick surfaces and hurting yourself. All in all, these men's black athletic slip-resistant shoes can keep you safe from electric shock, broken toes and feet, slipping and falling, and foot exhaustion and soreness, which will give you a better working experience. It'd be tough to find a better source of protection and comfort than these Reebok Sublite Cushion Internal Met Guard RB4143 Men's Black Athletic Work Shoes. Order them here at Working Person's Store today, and you’ll be getting confidence in your footwear that allows you to keep your mind focused on work instead of any potential injury you might incur. Great shoe. Wouldn't complain about it at all. My staff member loves wearing this shoe. Constructed very well and made for standing for long periods on end. Would buy another pair in a heartbeat. I recommend getting these shoes for people who stand for long periods at a time. Now my staff is refreshed and ready. Just recently purchased these Reebok shoes and I haven’t had a chance to wear them yet. However, they look great and stylish, I can’t wait to start wearing them. 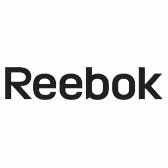 I’ve owned Reebok’s in the past and was completely satisfied with the quality and workmanship. These shoes only lasted my husband 7 months. He works at a restoration company and needed steel toe shoes. These seemed good looking and that would last longer but I was really disappointed. I would not recommend these if you need something more durable. Reebok Shoes: Internal Met Guard RB4143 Men's Black Athletic Sublite Cushion Work Shoes is being added to your cart.